Broaden your musical horizons & discover fresh music from the UK and beyond. Featuring: WAVE Choir and other artists including: Setondji Spirit; Cowboy Flying Saucer; Shamu. 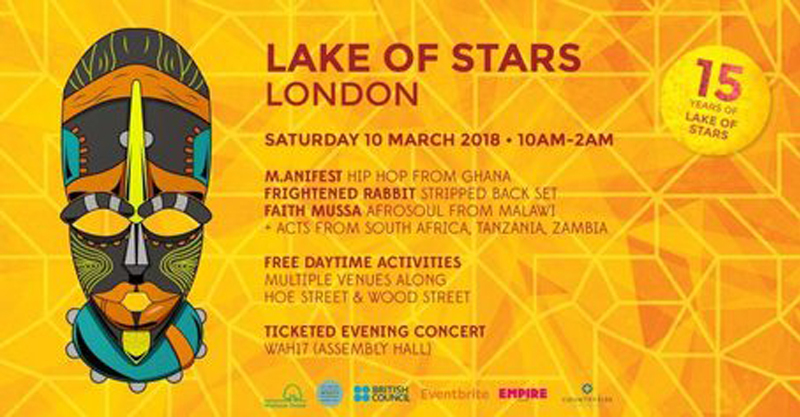 Part of Lake of Stars London Festival.